Last week saw prime minister K.P. 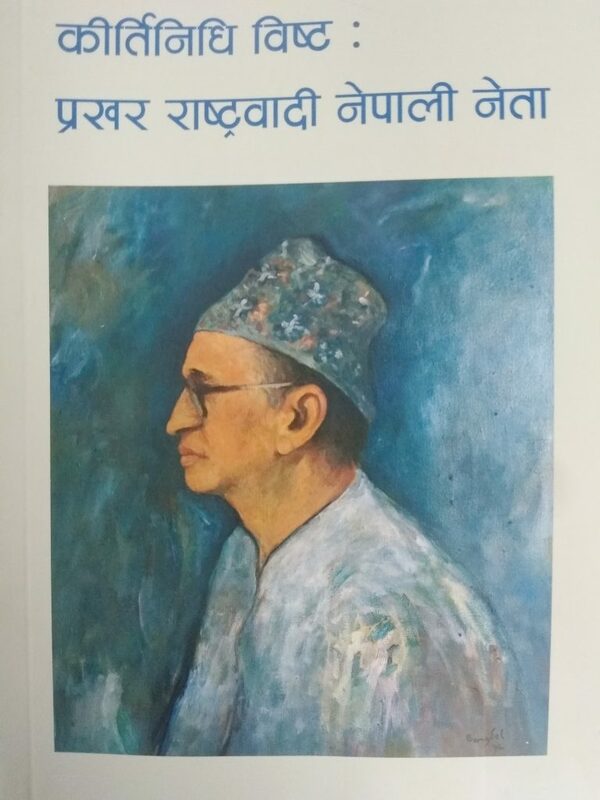 Oli launch a biographical account of late prime minister Kirtinidhi Bista compacted in a modest paperback (88 pgs) the contents of which manifest the crystallization of nationalist concerns of contemporary Nepal. For this singular task ‘Kirtibabu’s’ family who edited and published the undertaking should be thanked since, in memory of the subject at the conclusion of the year since his death, they have succeeded painstakingly in recording well the former prime minister’s thoughts and actions without the frills of eulogies which a plethora of latter-day publishing usually are associated with. Indeed, the book itself manifests how clearly Bista’s family was aware of his work and priorities and the succinct reproduction of such in the book might well also reflect remarkably well on how Bista could groom his family towards this. For this the family must be congratulated. The gratitude emanates from the fact that the autobiography turns out to be a concise elucidation of Nepali national politics, its issues and concerns and a dispassionate historical account of the development of modern day Nepali nationalism. It is also a frank assessment of contemporary Nepali politics and its shortcomings when put against the standard of politics sought by the likes of Kirtinidhi Bista who entered politics after 1950 in association with the likes of Dr. Dilli Raman Regmi and rose up the ranks under King Mahendra and, in later days under both King Birendra and Gyanendra. In the process, sprinklings of hitherto forgotten or unrevealed political snippets serve to add weight to the political significance of the book as, for example, do revelations that Bista and Dr. Tulsi Giri both advised king Gyanendra to forsake his direct rule and to bring into government former prime minister Krishna Prasad Bhattarai who was prevented from doing so both by his health and internal party machinations. If very many will recall how the two were dragged into the gambit of the Raimajhi Commission, very few will perhaps recall that Bista had had to justify his actions at court when Surya Bahadur Thapa was prime minister under King Birendra. What is equally significant is that the book does not mince words on the set of situations which welcomed King Mahendra’s takeover in 1960 and the difficulties imposed since by internal and external politics in achieving the purposes of the takeover which, never the less, could not prevent the country from achieving so much. Nor does the book mince words on Bista’s relegation from power politics after the referendum which, on the other hand, did not prevent him from contributing his thoughts on national priorities publicly both at home and abroad. The publishers must be thanked for putting to words what nationalism is all about according to late Kirtinidhi Bista and, in the last chapter, reproducing Kirtibabu’s account of himself. A towering personality perpetually vilified by parochial, conspiratorial and populist politics has rightly been brought to public light after decades of efforts to deride Nepali patriotism and nationalism. This is anathema to today’s political standards but timely in the context of the contemporary efforts at unearthing political truths.